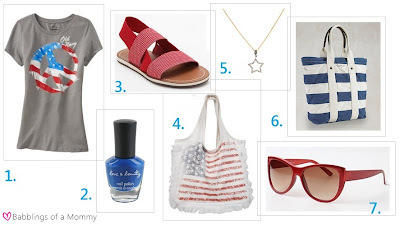 Babblings of a Mommy: Red, White, & Blue: Food & Fashion! Red, White, & Blue: Food & Fashion! Happy 4th of July friends! I hope you and yours have an amazing day filled with fireworks and plenty of good food! 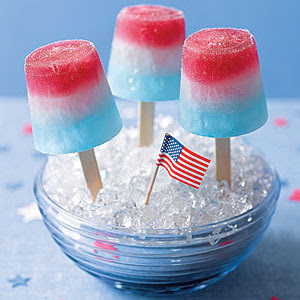 Speaking of good food--check out these adorable little ice pops courtesy of My Recipes. Super cute and super easy to make for your guests if you're looking for any last minute refreshers.